Is Gardasil Mandated in Your State? Last week I reported on the controversy of the Gardasil Vaccine produced by Merck (it is important to note that GlaxoSmithKline also makes an HPV vaccine called Cervarix). Many women left comments which confirmed my statements and research with personal stories of their once healthy daughters who are now sick and disabled from this vaccine. This week I will look at which states are mandating that school children get the vaccine and one state that passed legislation for the vaccine to be given to children as young as 12 years old without parental consent. As I stated in my op-ed piece on the Affordable Health Care Act, I am a libertarian. One of my main concerns about the government controlling our health care is mandated vaccines. To those who think that this could never happen, the simple fact is it’s already happening in our schools and in our military. While I’m a proud Marine, I’m ashamed of the fact that the government has been known to conduct ethically questionable experiments on our troops. In my opinion, vaccines are one of those experiments and rather than do they protect the patient, they ask will the people blindly take them? I sarcastically replied, “Okay,” only to turn around and see the Executive Officer (XO) standing behind me. Not amused by my sarcasm, he said, “If you don’t get the shot I will charge you with disobeying orders Lieutenant.” He was dead serious. Thankfully, I have not had any major complications (although the more research that I do, I think I have some ongoing side effects from the Gardasil vaccine). According to the National Conference of State Legislatures (NCSL) school vaccine requirements are determined by individual states, a right which might be revoked now that states are mandated to enforce individuals to purchase insurance per the Federal government. In February 2007, Texas Governor bypassed state legislation and made an executive order that all females going into the sixth grade had to get vaccinated with Gardasil. In May 2007, state legislators introduced and passed the bill H.B. 1098 to override the executive order. The Virginia legislature also passed a school vaccine requirement for Gardasil in 2007. To see what legislation related to the HPV vaccines and information has been introduced to your state, see NCSL’s chart here. This is the easy part. Look at who is benefiting the most -follow the money. In this case, the makers of the vaccines are obviously going to benefit if their product is mandated by use of all children the age of 12-26 years old. Similar to when Texas Governor Perry passed the law to mandate the HPV shot shortly after Merck contributed $6000 dollars to his campaign (amongst other ties to Merck); in California, Merck donated $39, 500 to legislators voting yea on AB 499 according to Cal Watch Dog. The cost of one shot is $120 and the vaccine is a series of three given over the course of a year. That’s $360 for every girl and boy who gets the vaccine. In most states insurance is mandated to cover this vaccine and there are numerous state and federal programs for those who do not have insurance. With all the side effects and even deaths from this shot, why wouldn’t politicians put those tax dollars to use providing un/under-insured women access to pap smears, a screening test that can catch HPV before it develops into cancer far enough in advance that fairly simple steps can be taken to stop cancer before it even develops? Why, because Merck and GlaxoKlineSmith can’t profit from preventing cancer that way. And how much has Merck made from the Gardasil vaccine? According to CNN Money, Gardasil grossed over $1.1 billion in the first nine months on the market. Unfortunately for Merck, the initial sales momentum has flattened out and is declining. The American public are obviously not buying this vaccine, so Merck and others are going to legislators and to have it mandated instead. As I always say, GET INVOLVED. Get educated. Complacency, apathy and ignorance are how we got to this point (and Citizens United). Be wary of a bill that puts a private company’s profits above the safety and well-being of the individual, especially one that involves the health of your child. It is incumbent upon all of us to assess the safety and risks of any medication or vaccine before taking it. Gardasil: Miracle or Deadly Vaccine? Will You be Left Without a Doctor? Lisbeth Prifogle is a freelance writer, Marine officer, and globetrotter currently in San Diego, CA. She earned an MFA in Creative Writing from Antioch University, Los Angeles and a BA from DePauw University. Lisbeth spent six months in Iraq and is working on a memoir about her experiences. She keeps a blog titled The Next Bold Move www.lisbethprifogle.com and her work can be found in the 11th issue of Poem Memoir Story, The Splinter Generation, and In the Know Travel. 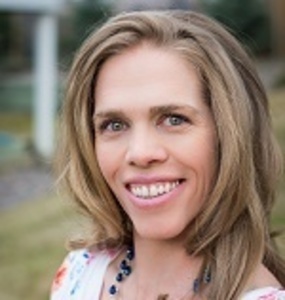 Lisbeth has had problems balancing hormones since she was a teenager and is constantly researching and exploring natural remedies including diet, exercise, and alternative medicines. Mammograms: What Would Dolly Parton Do? Thanks for reading Heather. You are absolutely right, everyone does need to get involved or at least get educated on the situation in order to protect themselves and their loved ones. While doing research for these articles I came across news and previews for the documentary called One More. It looks like a great one. Please let me know when it comes out – I’d love to watch and write a review! Lprifogle@lucinebiotech.com. If you’d like to write a personal story about your experiences with Gardasil (or someone you know) please email me as well. We’d love to feature personal stories about Gardasil as well as these informative pieces. Would love to and will send my story to your email. If it even saves one life it is worth it. I talk to mothers every day who are living this torture , watching out once healthy girls suffer in ways no one ever ever should. Please keep informing others of how Gardasil can ruin your life. Too many dont know the risk and it is scary to think this will ever be mandated. I will let you know when the documentary comes out. should be soon! Great Article, Gardasil is definitely a DEADLY Vaccine, we live the hell of it every day. Everyone and I mean everyone needs to Get Involved. Protect you kids!!! You do NOT want them to react to this vaccine and have to watch them fight for their lives. Get a Pap, research all you can about Gardasil, go to truthaboutgardasil.org, google gardasil deaths. Better yet wait for the documentary that is coming out called “One More” it will show you the devastation being caused by this vaccine.